Enjoy a day at KidZania Manila, a unique and interactive venue for the entire family! This place is a wonderful avenue to explore and experience different jobs. It is truly a city for kids. My son enjoyed it so much, one day is not enough. Come during weekdays to avoid lines and long waiting periods. The annual and much awaited Adults-only day in Kidzania is back! Imagine a huge, campy interactive indoor play city comprising of miniature stores, kiddie-sized cars, shopping boutiques, and restaurants. 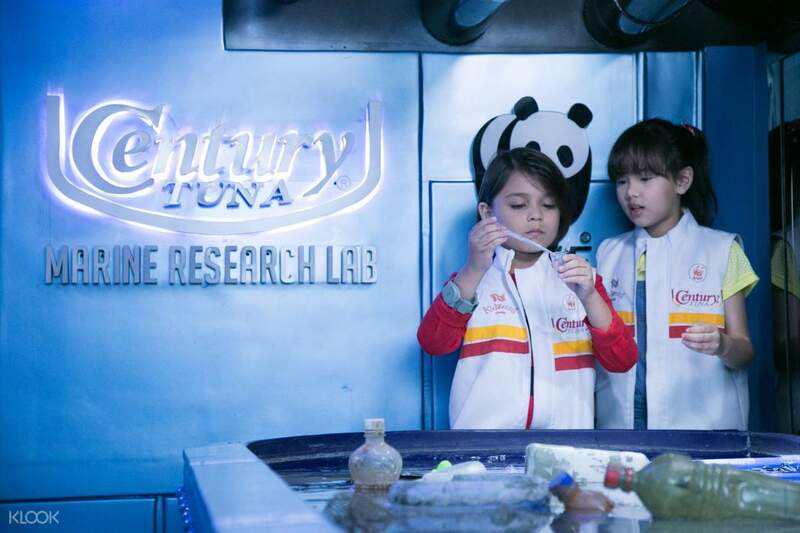 Ever since opening its doors in 2015, KidZania Manila is all the rage for burgeoning parents of growing kids ages four and 17 to help them kickstart their future ambitions. Built with upscale brands to make up an imaginative city (think The Truman Show for kids), the venue is made for kids to nurture their interests and learn life skills through over 70 immersive role playing activities that promote good citizenship. KidZania has its own culture, economy, symbols, and language, surely your kids will recognize and soon love as they learn to develop valuable life skills such as responsibility, confidence, and independence. Book your tickets today and let your children go on a fun-filled adventure in a city made solely for their entertainment! At KidZania, your child can be anything they want to be! KidZania Manila is near STI College and diagonally across Market! Market! My sister asked me to book for my niece after grad celebration. They both enjoyed the activities. Tickets booked via klook are much cheaper (thanks) and it's hassle free. Best to go there during weekdays. My sister asked me to book for my niece after grad celebration. They both enjoyed the activities. Tickets booked via klook are much cheaper (thanks) and it's hassle free. Best to go there during weekdays. this is my first time to purchase ticket here in klook and i was amazed it was so convinience and easy.. 5 stars for this.. till next transactions . i already refer this app to my other friends.. thank you klook! this is my first time to purchase ticket here in klook and i was amazed it was so convinience and easy.. 5 stars for this.. till next transactions . i already refer this app to my other friends.. thank you klook! the kids super enjoyed at kidzania.there are so many activities that the kids can do and also the adults.kids can learn the doing a job or work can and you earn money.they can also do what they love like singing and dancing. the kids super enjoyed at kidzania.there are so many activities that the kids can do and also the adults.kids can learn the doing a job or work can and you earn money.they can also do what they love like singing and dancing. Kidzania is amazing.. my kids aged 7 and 9 thoroughly enjoyed it and learned so much. we spent over 6 hours there. I suggest going early on a weekday as everything was really quick from entrance to signing up and passports. Also, go to the activities you really like first to avoid long waiting times. It was tiring for me going around the whole time , so maybe adults to take turns bringing the children around. Kidzania is amazing.. my kids aged 7 and 9 thoroughly enjoyed it and learned so much. we spent over 6 hours there. I suggest going early on a weekday as everything was really quick from entrance to signing up and passports. Also, go to the activities you really like first to avoid long waiting times. It was tiring for me going around the whole time , so maybe adults to take turns bringing the children around. It's our first time to get there in Kidzania and we really have fun and enjoy the day. My kids are asking me to come back again and experience the other job they applied for. Thank you for accommodating us. It's our first time to get there in Kidzania and we really have fun and enjoy the day. My kids are asking me to come back again and experience the other job they applied for. Thank you for accommodating us. It is really nice and very educational for the kids because they got to do the real thing as what us adult os doing with our job. It os just that you cannot do all the jobs there in just 1 day. Surely, we will go back. It is really nice and very educational for the kids because they got to do the real thing as what us adult os doing with our job. It os just that you cannot do all the jobs there in just 1 day. Surely, we will go back. worth the price. the kids enjoyed the activities. will definitely come again soon. i hope there will be also more activities for the toddlers as they are not allowed to join in role playing activities. worth the price. the kids enjoyed the activities. will definitely come again soon. i hope there will be also more activities for the toddlers as they are not allowed to join in role playing activities. our entrance was hassle free. lined up in the pre-sold ticket and was given tickets, etc. by an attendant. 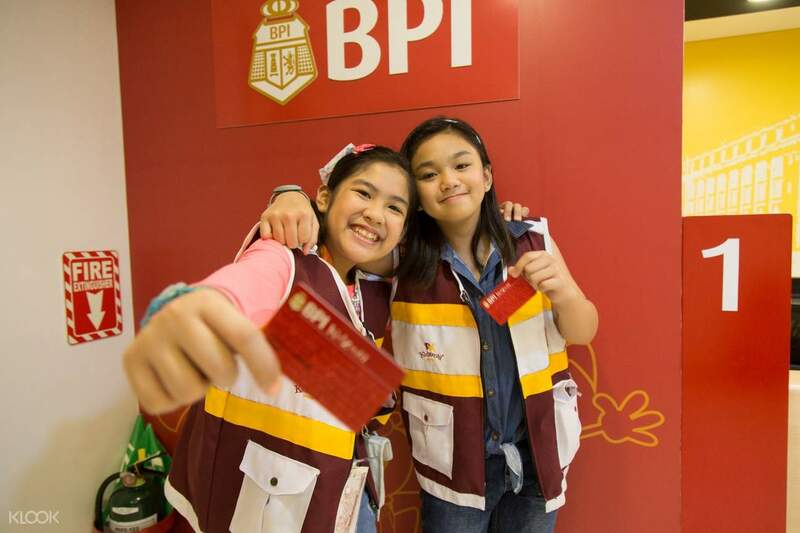 when we got inside, first thing we did was to get into the bank to activate the bpi atm and deposit the kidzania money. the atm is needed for joining the job activities. it was such a cool experience, she even got freebies for each job like in goldilocks, magnolia, purefoods, oishi and etc! our entrance was hassle free. lined up in the pre-sold ticket and was given tickets, etc. by an attendant. when we got inside, first thing we did was to get into the bank to activate the bpi atm and deposit the kidzania money. the atm is needed for joining the job activities. it was such a cool experience, she even got freebies for each job like in goldilocks, magnolia, purefoods, oishi and etc! We had so much fun but bitin coz we got in 1pm already and 4pm was the closing time. Kidzania is really a great place for experiential learning and simulating the things that adults do in the real world. They get to have an idea and try being a doctor, nurse, fashion model, driver, cheerleader and many more that we weren't able to try yet. Hope to have more promos next time! We had so much fun but bitin coz we got in 1pm already and 4pm was the closing time. Kidzania is really a great place for experiential learning and simulating the things that adults do in the real world. They get to have an idea and try being a doctor, nurse, fashion model, driver, cheerleader and many more that we weren't able to try yet. Hope to have more promos next time!